***WATERFRONT ON LAKE DOW*** Priced well below recent appraisal. Enjoy relaxing on the deck or in the sunroom in this awesome 4-side brick ranch home with an unfin basement with boat door. 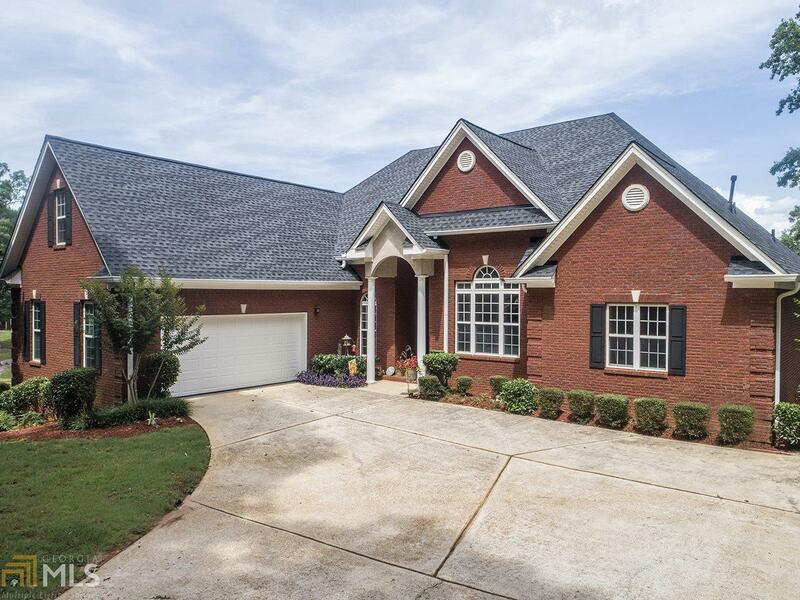 On the water at Lake Dow at the Ga. Nat&apos;l Golf Club, with a lovely, large corner lot, this home has 3 BR on main, 1 BR/Bonus up with it&apos;s own full bathroom. Over 3300 sf plus 2876 sf in the bsmt. New(er), irrigation, AC, heat pump, carpet, tubs & toilets, appliances, deck & dock, roof (Jan &apos;18). Includes 2 50-gal water heaters. Directions: From Hwy 20, Take McGarity Rd To Lake Dow. Lft On Huiet Dr. Cross McGarity Dr To Home On Corner Of Betsy Ct & Huiet Dr On Rt. Driveway & Mailbox Are On Huiet Dr.